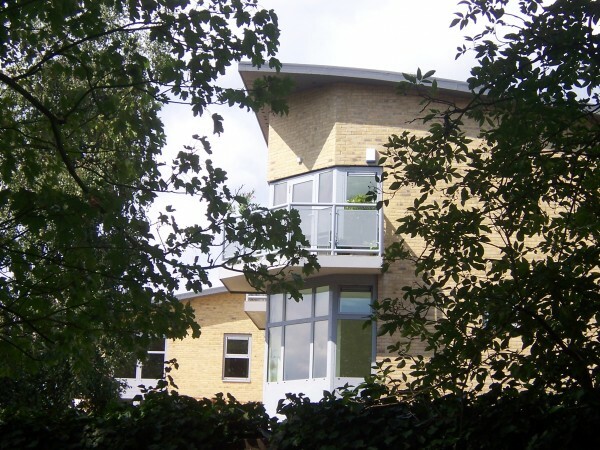 Richmond Apartments, Hampton Hill, London, TW12 1NH. Leading residential architects and interior designers at 4D Studio have been responsible for five projects in Richmond itself and two overlooking Bushy Park. We are are familiar with Richmond Planners and Local Amenity Groups. For many years our studio was located in Richmond town centre and our senior architects and designers lived in the borough. 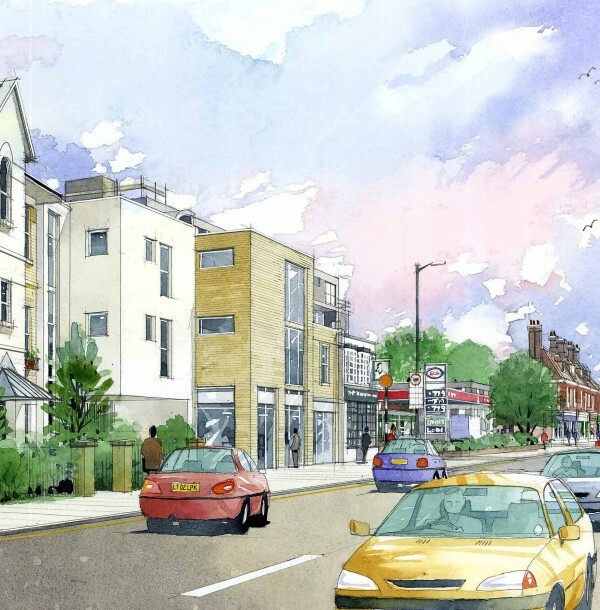 This project undertaken for a local developer creates four flats above shops facing Hampton Hill High Street and a further 8 apartments overlooking Bushy park itself. Sheen manor was destroyed by fire in 1497. Henry VII replaced it with Richmond Palace in 1501 naming it after Richmond Castle his ancestral home in Yorkshire. The town took the same name and Elisabeth I spending much of her time there. Until the 18th Century most of Richmond was agricultural land when the area became a fashionable place and large houses were constructed. Richmond Bridge, 1777 replaced a ferry crossing connecting both halves connecting the two halves what has become London Borough of Richmond upon Thames. Richmond Station opened 1846 and the borough has prospered ever since. Are you looking for an architect in Richmond? 4D Studio specialise in residential work in Richmond and provide a full range of architecture and interior design services for clients in Richmond and other areas of west London. – Full building project management from beginning to end including the design and pre-application consultation with Richmond planners, preparing the planning application drawing plans, administering the building contract. – Planning permission: Gaining approval for building projects can be complex and frustrating, our extensive knowledge of the planning permission process in the Borough of Richmond, can help steer you through the pre-planning consultation and planning approval process..
– Party Wall Agreements: Building work will require a party wall agreement with your neighbours when your construction works effect their property. 4D Studio architects can introduce you to local specialist surveyors who can negotiate the necessary agreements on your behalf. – 4D Studio architects can also introduce you to other specialist consultants who may be required for your project. 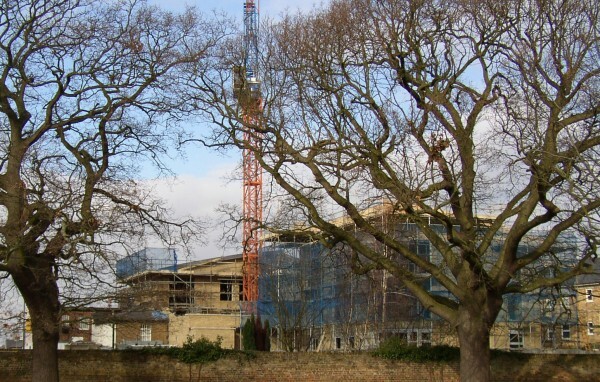 These could include structural engineers, heritage specialists, sustainability specialists and arboriculturists. This, together with our interior designers and our expertise in working with listed buildings means that 4D Studio architects offer a service unmatched by other architects in Richmond. Our senior architects have worked with projects in the Borough of Richmond for over three decades over which time we have built an enviable reputation throughout Richmond and other nearby boroughs. Before undertaking your project 4D Studio will visit your home and discuss your requirements with you. Following this we will write to you with our fee structure and strategy for your project. If you would like to find out more about working with 4D Studio in Richmond please email me on jmuir@kmw.co or call, 020 7471 8550.